Antec’s High Current Gamer line was getting old and urgently needed new additions in order to keep up with the tough competition in the mid-PSU category. 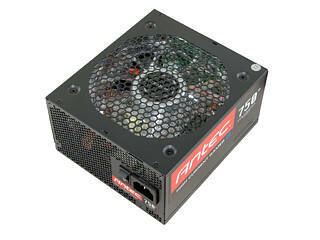 Antec thankfully decided to act, releasing several new modular units that look really interesting. With the new additions, the revamped HCG-M line consists of five units with capacities ranging from 400 W to 850 W, covering the most popular market segments and most user needs; but we think that a PSU with a capacity of 1 kW or more would really top the series off well. All HCG-M units utilize 16-pin sockets to support two different 8-pin connectors along with 10-16 pin connectors in the future, making them, according to Antec, future proof should the need for new connectors emerge. The model that we will evaluate today is the HCG-750M. It is the second strongest of the series. Its characteristics look promising because it is equipped with Japanese capacitors and a double ball-bearing fan with LED lighting that can be toggled on/off, and the unit is also equipped with a full set of protections to ensure its safe and reliable operation under all conditions. The new HCG-750M's biggest asset is probably the fact that is made by Seasonic, an OEM we highly respect for its top notch products; that said, they are usually not of the affordable kind. Well, you can't have dead low prices as a first priority if you want one of the best OEMs to build your product. It is also much better to invest some extra money into a PSU from a well-respected company as the unit feeds every other part in your system with power, and you don’t play with the component that feeds everything else given very bad things can happen if something goes wrong; it really is as simple as that. But enough with the prologue. Let's skip to the next page and take a look at the unit’s specifications.